Nigel Sumner is the Creative Director of ILM Singapore overseeing the company’s artistic efforts and helping guide in the trajectory of ILM’s global strategy. He joined Industrial Light & Magic in 1999 as a Technical Director for the commercials division and in 2000 transferred to the company’s feature film division. In 2007, Sumner moved to Singapore to lead a global team of digital artists, spearheading a collaborative effort with ILM’s American counterparts on numerous feature film and commercial productions. ILM Singapore projects include Transformers: Dark of the Moon and Marvel’s The Avengers and Guillermo Del Toro’s 2013 science fiction epic, Pacific Rim, for which Sumner received a BAFTA nomination and the HPA Award for Outstanding Visual Effects. He was also nominated for a BAFTA Special Visual Effects Award and a Visual Effects Society Award for his contribution to the 2016 smash hit, Rogue One: A Star Wars Story. 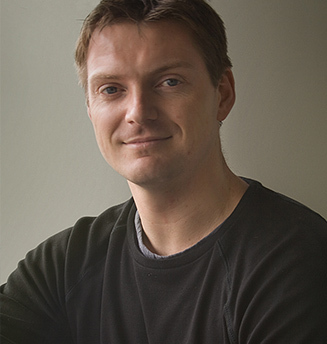 Sumner holds a master’s degree in Computer Animation from Bournemouth University, located in Dorset, England, where he also taught animation techniques, software, and programming languages.